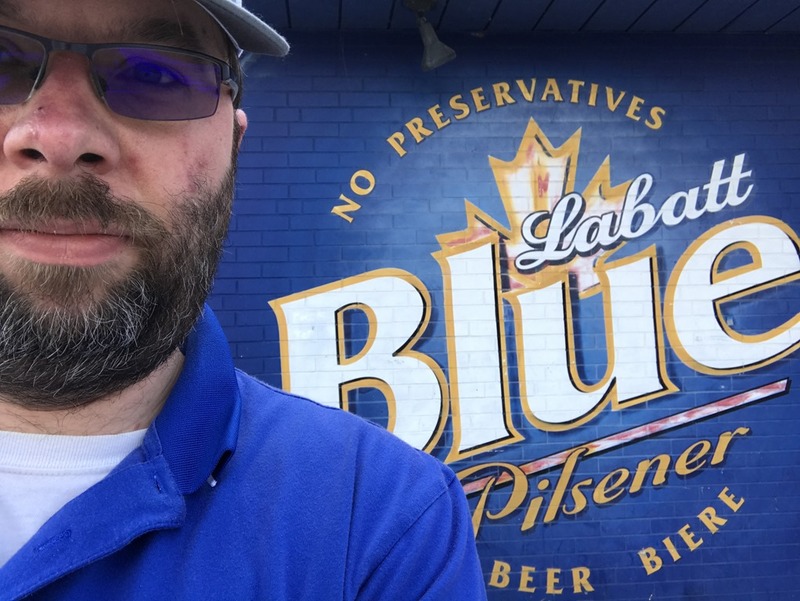 I had the opportunity to visit the Labatt flagship brewery the other day. 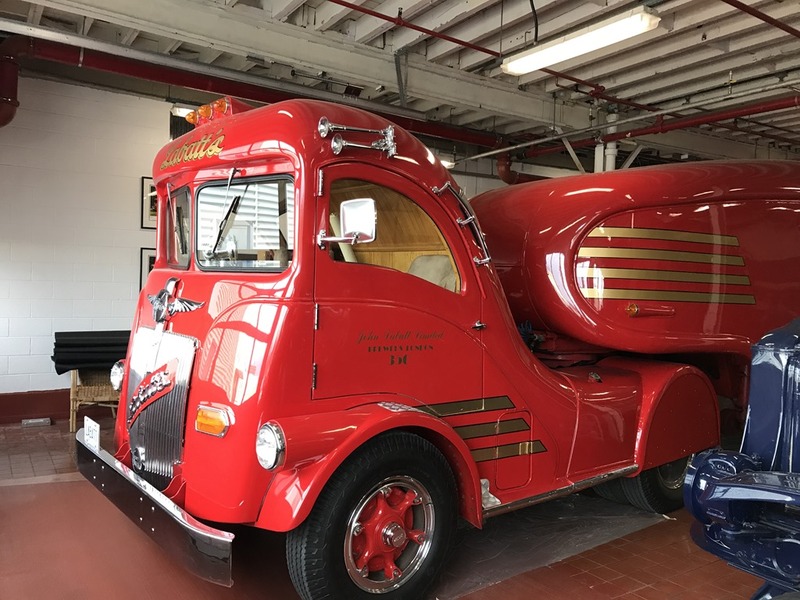 It was a bit sad because they pushed Budweiser products and were packaging Budweiser products – not the beer that they were known for. 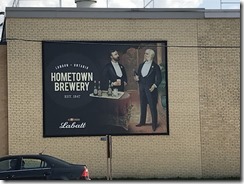 Labatt is an older brewery having been in London since 1847…quite a long stretch. 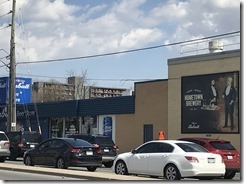 The current brewery is on the site of the original brewery just south of Downtown London. The tour guide was phenomenal and definitely one of the better macrobrew tours I’ve been on. 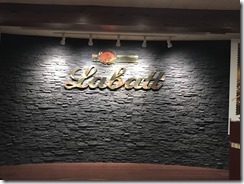 You start in the John Labatt room, which is a very fancy banquet room in what appears to have been built in the late 40’s/early 50’s but is very well taken care of. The complex is quite large and very modern. 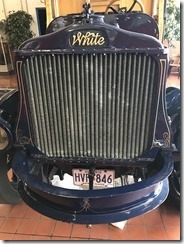 The owners are in the process of updating the equipment so it was interesting to see a stock of parts in the trash from their old canning line and then going inside to see the new canning line. 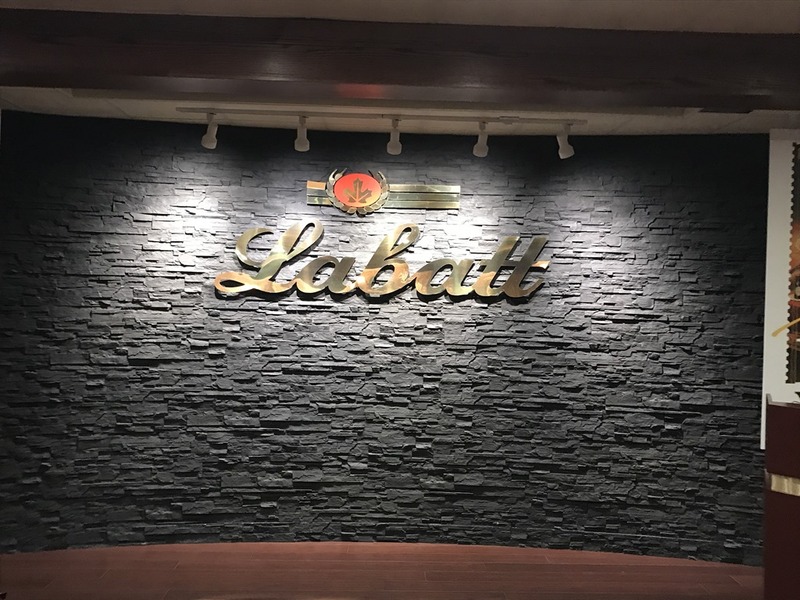 The tour ended back in the Labatt room. You got the opportunity to sample some beers. I was a bit disappointed with this feature of the tour because they only sampled one Labatt product! I got to sample Budweiser and Budweiser Prohibition (their alcohol free beer) and noted the tastes are quite similar. I don’t like non-alcoholic beer but this was a really, really good close to real beer non-beer. Do you think it might get me in trouble if I took it to work for lunch? We then moved onto a craft brew which was Mill Street Organic – which is brewed at the craft brewery of Mill Street in Toronto (AB-InBev also owns Mill Street). The next and first Canadian brew up was Alexander Keith’s Red Amber Ale. Alexander Keith is an old Nova Scotia brewery. Apparently it made it to the US in 2011…but I can’t recall ever seeing it. We then moved to Corona – which is not brewed by Labatt or brewed in Canada for that matter. They brought this in special for Cinco de Mayo. I’ve never been a big fan, but I thought it was a nice touch. 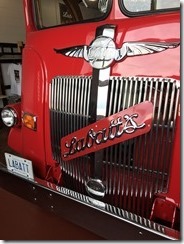 Finally we got to the beer brand I associate with London…Labatt. I’ve eyed Labatt 50 Ale for some time. 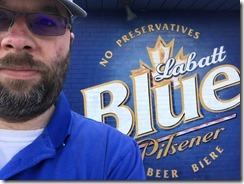 I drink Labatt Blue when I watch hockey…but I never have had 50 ale. 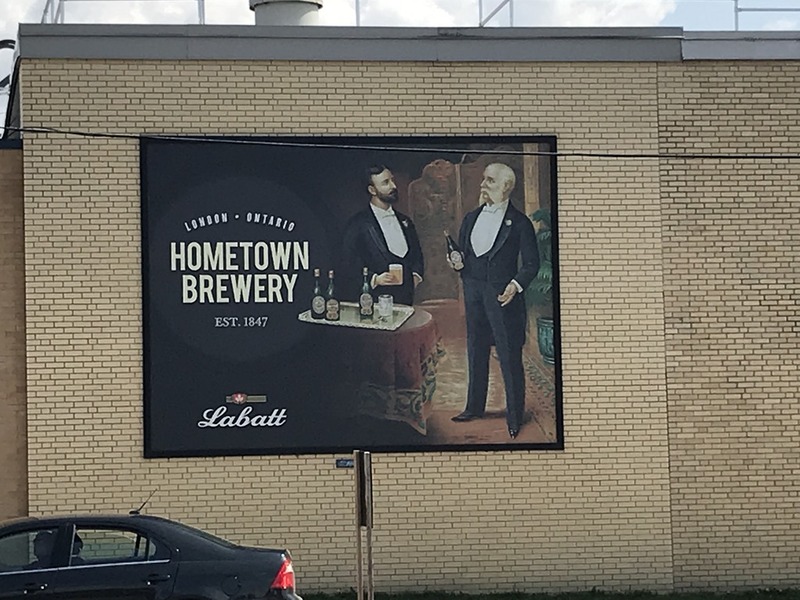 It is sold in the US as Labatt Canadian Ale. Before I get into the description of this one, I am going to pause and go back to how it came to be. 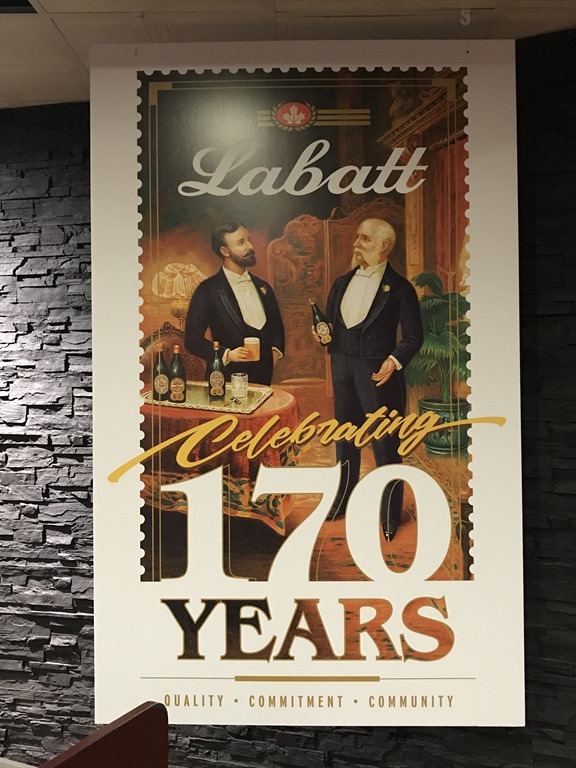 Around the start of the century, the grandchildren of John Kinder Labatt, Hugh and John S Labatt took over. 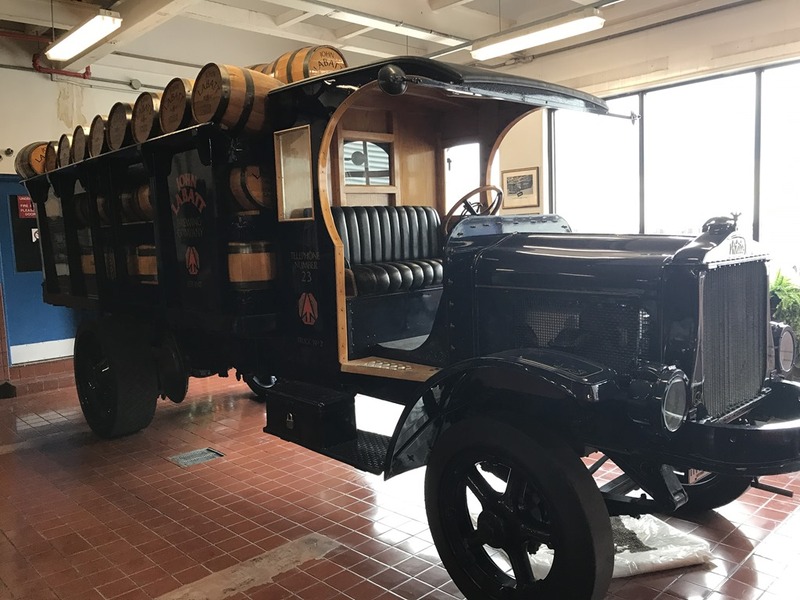 Prohibition in Canada in 1933 and Labatt was one of fifteen survivors. But the times were rough. 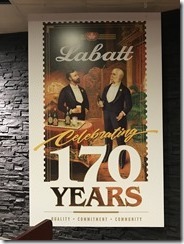 In 1950 Labatt produced a special ale to commemorate 50 years of service from Hugh and John S Labatt. It was designed for the working man. Originally called Anniversary Ale it was nicknamed Annie Ale…not very manly. So they pushed the branding for 50. 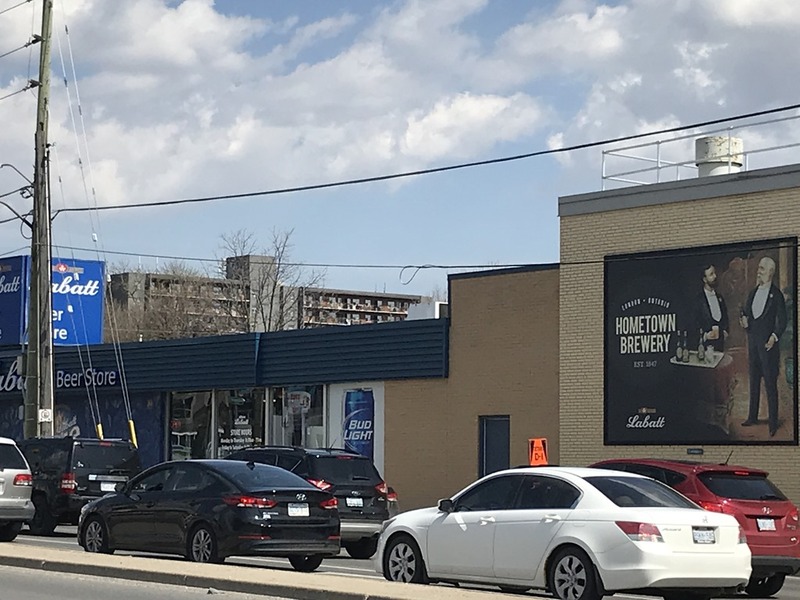 It was sold in stubbys and was Canada’s #1 beer from 1968 until 1979 when it was supplanted by it’s big brother….Blue. We ended with a couple of new brews. They are radlers. A radler is 50% fruit juice and 50% beer. Radler is German and is a nod to bicycling. 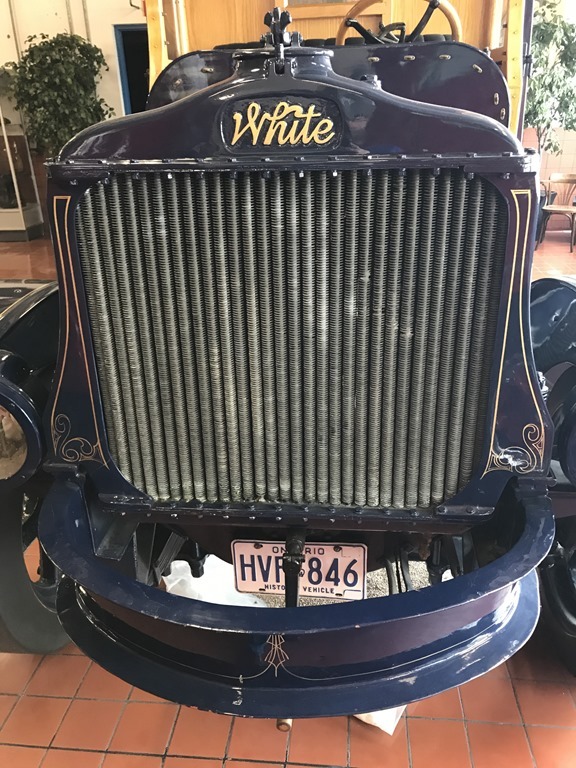 Legend says that a German innkeeper was waiting for his cyclist regulars to return, when he realized that he didn’t have enough beer to quench their thirst. Improvising, as true Germans do, he blended (or watered down, depending on your opinion) the beer he had with lemonade. It proved popular. Radlers are generally done with grapefruit or lemon. As such, Labatt introduced Bud Light Grapefruit to the market. And, yes, this is a Canadian invention. Grapefruit has been available in the US while Lemon is starting to be introduced. We tried both. Not much of a beer flavour, I could see this being popular with those who don’t particularly care for beer. 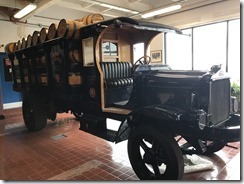 And while you think the tasting was the end of the tour…we had one more stop. 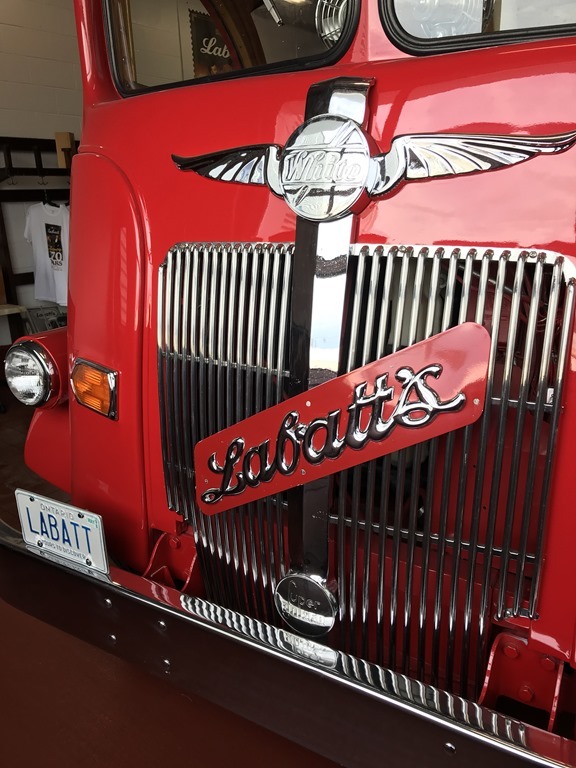 On our way out we visited the garage where two Labatt vehicles were stored. Overall it was a wonderful experience. One I enjoyed a lot and was well worth the 2 hours and $9.30 I invested.